Here are a few quick links that help make the case for data standards, not just for diabetes management but in the larger health context. I particularly like this little comment about standards as "a path out of high-cost, locked proprietary systems in the end-to-end ecosystem." I was thrilled to be asked by Sanofi's Discuss Diabetes to join in their fathers day series of blog posts. I am privileged be there with some other guys who I an happy to call friends to share a few thoughts on being a diabetes dad. Knowing the many great dads in the diabetes online community it is an honor to be asked to be one of the guys representing all of us this week. Yesterday they featured my good friend Manny Hernandez. No spoilers other than to say some other great dads are coming later in the week. I know I look forward to hearing from them. I am sure all of us featured and all the diabetes community dads agree that the real privilege isn't about a day, it is the joy of the 24/7 lifetime fatherhood gig. Thanks Laura for the invitation to represent the brotherhood of diabetes dads. I hope I do us all proud. Pennsylvanians: Safe at School legislation for diabetes is pending and we have an opportunity to be supportive of it to our legislators. The ADA has a quick and easy way to reach out. I also suggest sending and individualized communication if possible. Here is a link to ADA's information on the issue. As always vote early and often. 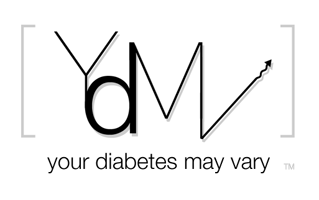 Students with diabetes most typically are type 1 diabetics. That is the form of diabetes that is an autoimmune disease. They require insulin injections and management, not as the result of life styles but as a result of their bodies no longer making insulin. Injected insulin is a balancing act. Many of the daily school events from physical education to the stress of academic work can and do impact that insulin balance. Kid may need help maintaining that balance. With two insulin dependent type 1 students, I know first hand that this is a challenge. The clarity of this legislation will make life easier for schools, parents and mostly kids. Safety for Pennsylvania students with diabetes means making sure schools understand diabetes and create safe environments for students to learn. More than anything schools, all schools public and private need guidance on how to create that safe environment. This legislation provides even handed, wise guidance. Often schools officials see significant problems in creating that safe environment. The bill you are considering helps create that environment in a cost effective way. It provides for schools to train adults in the school to safely respond to an emergency when a nurse is not available. In the current time of budget constraints safe at school programs that train adults to respond can help maintain a safe learning environment in a medically, educationally and fiscally sound manner. WEST CHESTER, PA, June 2, 2011 /PRNewswire/ — Animas Corporation announced today the receipt of CE Mark approval for Animas® Vibe™, the first and only continuous glucose monitoring (CGM)-enabled insulin pump system with Dexcom G4™ CGM technology. Animas® Vibe™ brings together the unique features of an Animas® insulin pump and the convenience of Dexcom CGM, which is the only sensor approved for up to seven days of wear. More here.